Has created an innovative device for the protection of children with autism. CAPPO is a global technological innovation based on an innovative software program. It is an electronic device with a plurality of sensors that is placed in specially designed clothing on the back of the child and monitors their physical location, the position of their body, their movement, vibration, temperature and/or whether the body is touching water. This software program then delivers this information to corresponding mobile devices or tablets of the parents increasing safety for the child and minimizing stress and anxiety for the parent. They harvest the kinetic energy from playgrounds and give it back to children in the form of light or sounds in order to motivate them to play more. Work on a Networking platform in the football field ("Football Linkedin"). Each user can create and search for football events from around the world via their account. The platform has introduced varying types of accounts for players, coaches and fans. Is involved in developing a CASE solution for the creation of HMI middleware in the form of a software toolchain and framework aimed at automating the development of automotive-specific user interfaces. Provide affordable, easy to understand and use analytical solutions. Their analytical framework guarantees flexible and affordable pricing models, easy and hassle-free usage and constant improvement of the service for all types of businesses. 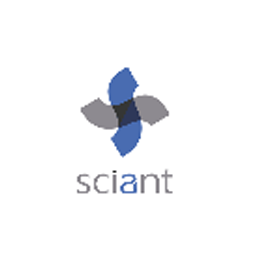 Sciant was founded by seasoned professionals in IT services industry, experienced overcoming technological and cultural challenges. Areas of expertise: B2B system integration, Web UX & Application development, Database design & development of big data. A young cloud service company whose partner is the world leader Amazon Web Services. The mission is to lay the foundations for the widespread adoption of cloud services as a major platform for information and communication technologies in medium and large-scale corporate environments. 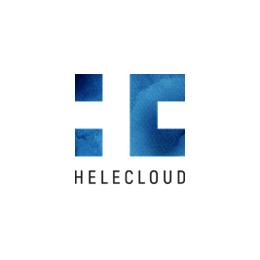 Helecloud examines and analyzes information security and regulatory compatibility, management of IT services as well as effective and appropriate planning and implementation of cloud planning solutions. The company's project is focused on the development of the automotive industry in Bulgaria by creating new technologies and establishing Bulgaria as the leading R & D destination in the automotive world by attracting leading OEM or Tier 1 automotive manufacturers in Bulgaria. The company is developing new technologies with one of the leading electronics manufacturers Visteon. Specialize in the production of raw bio foods. The company develops its technology to produce specialized foods with all the qualities necessary for a healthy diet. It is the first company in Europe to work and enforce the Health Star Rating system, and in 2016 their products were declared the best new special dietary products at one of the major European organic products exhibitions in London. Cleantech Bulgaria is a business network for clean technologies, innovation and sustainable development, with research, development and consultancy in the field of environmental protection, corporate social responsibility, energy management, energy and resource efficiency, climate risk, support and investment of start-ups. Printivo works in the field of regenerative medicine. Its main focus is the engineering of human bone tissue and organs. The company has created its own 3D bio-printer and biomaterial formula, allowing experiments to develop a bone analog for drug testing in the pharmaceutical industry, orthopedics and dental medicine. The company develops innovative portable technologies and services that provide detailed information about physical load and athletes' status in real time. The system is a tool that transforms traditional training into research and is a powerful helper for making important decisions during training and official races, reducing the risk of injuries and improving the overall physical conditions of athletes. A start-up company that develops and participates in various projects in the field of ICT, CAD systems, early warning and monitoring of natural disasters, computer design of complex business and public systems in finance, education, cyber security, etc. The company produces innovative paints for wall which can be written, painted, and so on. Its brand name is Escreo. They are suitable for classrooms as well as for public spaces and children's playrooms. Through its partnership with InterConsult Bulgaria (ICB) and Start it Smart, the Microsoft Innovation Center supports entrepreneurs in every step of their path - from the development of an idea to the foundation of a new company. Through a variety of programs, entrepreneurs will have access to training, mentors and various Microsoft tools that will enable them to reach the next level in their business development. Deals with the organization of events within which the serious investment community, formed by the group, examines and evaluates the ideas and concepts of more than 2000 start-ups and developing companies from Europe. This relationship between companies and potential community investors is accomplished by conducting a series of 25 events each year. The JA Bulgaria Foundation's activities are related to entrepreneurship training, support for start-ups of students and students, etc. Is working on the development of innovative solutions in the field of energy and Internet of Things. The company works in the field of advertising and offers a variety of outdoor advertising channels in the country, choice of different means of communication, as well as innovative technological solutions. The company is working on developing an innovative service system - "Sofia Bikes". The Bosch Group started an expansion of its global network with a new software engineering center in Sofia. The leading global provider of technologies and services will develop in Sofia Tech Park automotive systems with and for Bosch internal partners. Supply an interactive environment for children up to 12 years of age, which enriches skills and knowledge in a fun way. They provide a medium through which to introduce children to today's digital world, developing their individual habits by offering quality content and parental control. They develop VOD services targeting families and children. One such service includes a video cloud allowing families to share memorable moments and experiences with each other on a global scale. In partnership with Xenium Ltd., Kidamom Ltd also developed a video solution based on semantic analysis (Artificial Intelligence), aimed at business clients from all over the world. 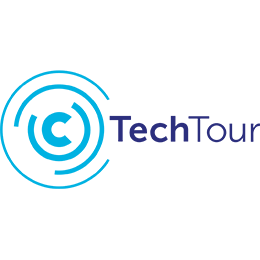 Partners of the project are Ontotext JSC - a world leader in semantic technologies. Specialize in the creation and implementation of innovations in the field of security and transport, creation of specialized software for access control in public spaces, stadiums, halls, squares, business centers and residential complexes, as well as implementation of innovative approaches in the field of electro mobility. Тhe main focus of developing new functional waters. Is a platform that facilitates carbon emissions transactions in the voluntary carbon markets. Through their online platform, everyone can easily offset their carbon emissions by supporting high impact green projects around the world. Works on the development of a marketing platform based on research in the field of artificial intelligence, information retrieval and processing of natural languages. The IT Start-up is developing products in the field of artificial intelligence and embedded devices. It has its own platform for business and organizational management. One of their major projects is Fleet Profiler: a vehicle monitoring and analysis system of driving style and driver profile. Is engaged in the development of a database for analysis of large data sets for the needs of small and medium enterprises. The development of their application with a parallel database that allows processing and increasing productivity on standard hardware has already been filed with the patent office.